This reading group guide for In the Midst of Winter includes an introduction, discussion questions, and ideas for enhancing your book club. The suggested questions are intended to help your reading group find new and interesting angles and topics for your discussion. We hope that these ideas will enrich your conversation and increase your enjoyment of the book. A blizzard in New York City brings together three strikingly different people, each burdened with a difficult past. Lucia, an aging Chilean writer who has survived political exile, disease, and betrayal, is marooned with her dog in a basement apartment in Brooklyn. Richard, an academic chairman at NYU, is a broken man haunted by guilt for his fatal failures as a husband and father. And Evelyn, a brave young Guatemalan woman, is an undocumented home health aide who fled her native country due to gang violence, which claimed the lives of her two brothers and very nearly destroyed her own. Over the course of several days, these three—each a misfit in a different way—are forced by circumstances into a rare level of intimacy. As the result of a shocking crime, they depart on a precarious epic journey that reveals their painful inner demons and ultimately enables them to forge a tentative peace with their pasts. 1. Each of the three main characters—Lucia, Evelyn, and Richard—experiences some kind of isolation in their present life. The book begins with Lucia physically isolated in her apartment during a snowstorm. In what other ways is she isolated? How is her isolation different from Evelyn’s? And from Richard’s? 2. Evelyn comes to the United States as a refugee fleeing violence. Compare her experience entering the country with that of other immigrants you know of or have read about. Why did they leave their native countries, and what were their first experiences as immigrants? Did you find any aspects of Evelyn’s journey surprising? It is said that the United States is a country of immigrants, and that immigrants made this country great. Do you agree? Why or why not? Did this book change the way you think about immigrants? If so, how? 3. Many immigrants in the United States currently work in caretaker jobs: as nannies taking care of small children, or as home health aides caring for the sick, elderly, or dying. Do you know of any immigrants in these kinds of jobs? Do they encounter any difficulties similar to Evelyn’s? How do Frankie’s parents treat Evelyn? Why does she seem “invisible“ to Frankie’s father? 4. Evelyn‘s relationship with Frankie is very special, and reveals a lot about her character. Why is she so successful at caring for him? In what ways does she expand his horizons? Do you know of someone who works with people who are physically, mentally, or emotionally challenged? Do they share any of Evelyn‘s character traits? 5. When Evelyn leaves her native village, she tells her grandmother Concepcion, “Just as I am going, Grandma, so I will return.” Compare Evelyn’s relationship with her grandmother to her relationship with her mother, Miriam. What positive things has each of them given to Evelyn? 6. Lucia loses her brother during the political turmoil in Chile during the early 1970s and is forced to flee the country, eventually becoming an exile in Canada. What qualities does she have that help her face her life as an exile? Do you know of anyone who is an exile? What special difficulties do they share? How do the challenges of Lucia’s exile compare with Evelyn’s challenges as a refugee? 7. People and animals share their lives. Compare the companionship between Richard and the four cats and between Lucia and Marcelo. How do their interactions reflect each of their personalities? 8. Richard and his wife, Anita, go through the devastating experience of losing their baby son. How do their reactions to this tragedy differ? And how do these differences ultimately determine the fate of Bibi and of their marriage? 9. Anita’s family has always been very tight-knit, giving her a sense of well-being and support. How does this compare with Richard’s upbringing? He comes to resent Anita‘s family after the tragedy. Why do you think this is so? Is he fair in resenting their efforts? 10. When Richard arrives in New York with Anita, and his friend Horacio sees the state she is in, he says to Richard, “Make sure you don’t let her down, brother.” In what ways does Richard end up letting Anita down? Why do you think he does? How does the fate of Anita and his children continue to shape his life long after their deaths? 11. There is often a conflict between “the letter of the law,“ which refers to a literal interpretation of the words, and “the spirit of the law,“ which refers to the intention behind the law. At the end of the book, Lucia tells Richard, “The law is cruel and justice is blind. Kathryn Brown helped us tilt the balance slightly in favor of natural justice, because we were protecting Evelyn, and now we have to do the same for Cheryl.” Do you agree with Lucia’s decision? Why or why not? If you were in a situation similar to Lucia’s, how do you think you would handle it? 12. Each of the main characters is a stranger to the people around her/him. In what way is Evelyn a stranger to the family she works for? Lucia is of course a foreigner in New York, but even as a colleague of Richard’s at NYU she remains a stranger to him, just as he is to her. Why do you think that is? In what ways do they misinterpret each other? To what extent do Evelyn, Lucia, and Richard each become less of a stranger by the end of the book? 13. Our protagonists each deal with trauma in their own way: Lucia with an open heart and taking risks; Evelyn by hiding, being silent, and trying to make herself invisible; and Richard by closing down and protecting himself. They have all experienced events that could have utterly destroyed them. Identify what these are for each character and compare how they each handled those events. In what ways did they succeeded in overcoming the trauma of their past? In what ways do they still carry it with them? 14. Lucia and Richard find love at a mature age. At first, they believed they were too old to find love, before realizing that they came together at exactly the right time. Is there an age limit for certain life experiences like falling in love? How has the process and concept of aging changed today when compared to the previous generation? Consider how the timeline has shifted for younger generations with regards to traditional milestones of earning a higher degree, building a career, getting married, owning a home, and starting a family, etc. 15. 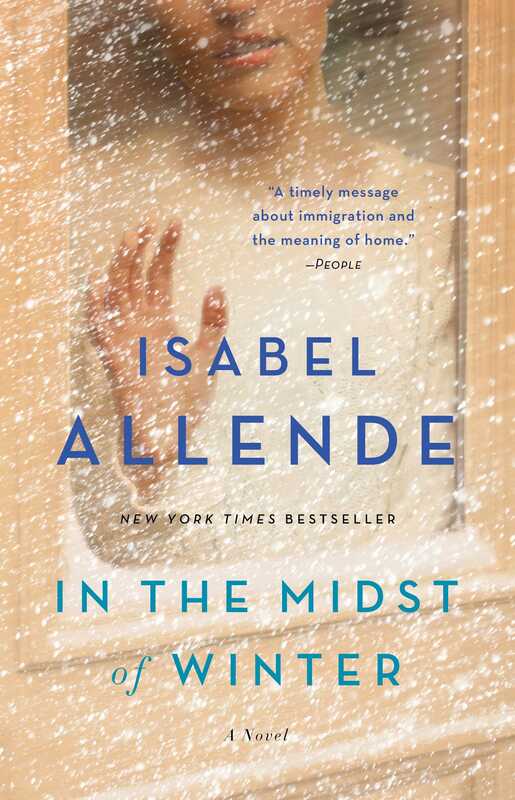 “In the midst of winter, I finally found there was within me an invincible summer.” Why do you think Isabel Allende chose to include this quote from Albert Camus in the book’s epigraph, title, and final scene? Most of the story literally takes place during the winter. But on the symbolic level, Evelyn, Lucia, and Richard are all experiencing a winter of the spirit. What does that consist of, for each of them? And what do you think the “invincible summer” is that each one finds within? 1. Research the gang that destroyed Evelyn’s family, the Mara Salvatrucha (MS-13), which began in California, and has been recently in the news. The following sources provide some useful information on the gang’s origins and practices. Have your group discuss the origins of this gang, and what steps can be taken to lessen its power. 2. Many films have explored the challenges faced by immigrants. Among them are The Immigrant, The Visitor, Sin Nombre, and El Norte. Stream one of these films with your reading group, and discuss how the issues faced by Evelyn compare with the issues faced by the characters in the films. 3. Have your group read two of Isabel Allende’s other novels, The House of the Spirits and The Japanese Lover. Both of these novels deal with subjects that are related to In the Midst of Winter. What similar themes do you notice in each of these novels that correspond to the themes of In the Midst of Winter? How does reading The House of the Spirits enhance your understanding of people like Lucia and what their families experienced during and after the military coup in Chile? In what ways does the experience of Ichimei Fukada—the Japanese gardener’s son in The Japanese Lover, who is forced with his family into an internment camp in a desert area of Utah during World War II—compare to the experience of modern-day immigrants and refugees like Evelyn, and the discrimination that they face? 4. 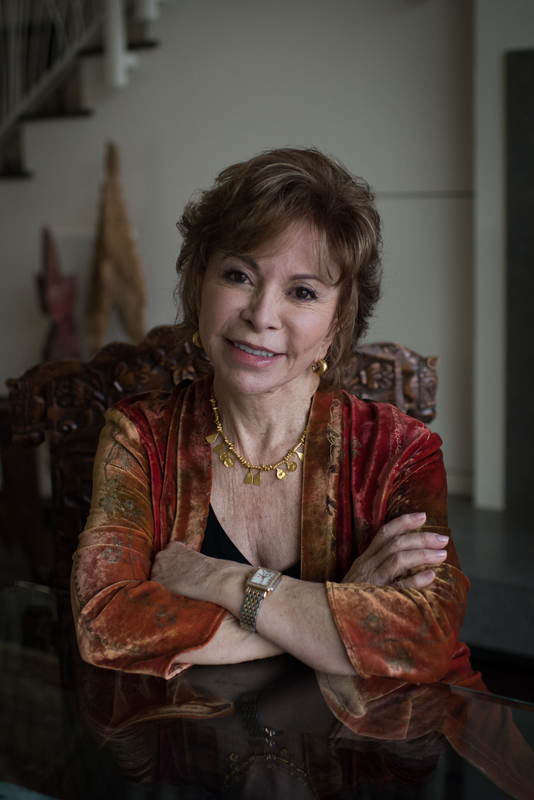 In 2014, Isabel Allende gave a TED talk in which she discussed living passionately no matter what your age: ted.com/talks/isabel_allende_tells_tales_of_passion. Watch this TED talk with your group, and discuss which aspects of Allende’s perspective on aging are reflected in the vibrant character of Lucia. 5. To learn more about Isabel Allende, read reviews of In the Midst of Winter, learn about her other titles, and find her on tour, become a fan at her Simon & Schuster author page simonandschuster.com/authors/Isabel-Allende/1723104, and visit her website isabelallende.com.